Have you ever been on the outside of an inside joke? Key details are missing; you're confused, and you quickly become disengaged. I fear that our students may sometimes feel the same way about school: There’s a storyline that they aren’t quite seeing. After that classroom observation, I started using the language of storytelling to think about my own teaching. 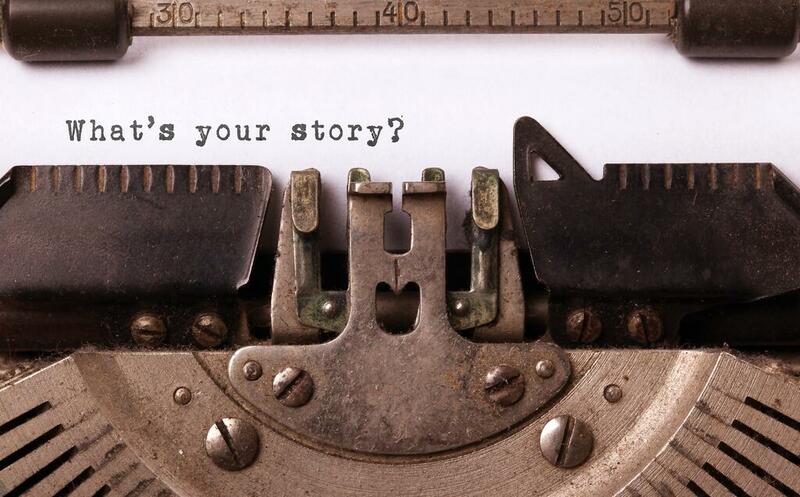 After all, stories are powerful tools that can captivate an audience and bring content to life. Most stories use a set of standard elements that help convey complex ideas. In the classroom, these same elements can transform otherwise disconnected activities and ideas into a coherent and compelling narrative. Let's consider some of these elements here. A high school drama teacher once told me that a sign of a strong performance is that the audience genuinely cares about what happens to the characters. In the context of a lesson, a “character” might be a mathematical procedure, a historical event, or a scientific phenomenon. Think: What are the main characters in your lesson, and how will the lesson help students care about what happens to these characters? A plot explains what happens in the story. The plot of a lesson could encompass the lead-up to a significant historical event; or it could engage students in how the scientific method works; or it could help students uncover the proof of a mathematical theorem. Think: What is the story arc of your lesson — what is the beginning, middle, and end — and how can you make sure the plot helps students better understand the main characters? Foreshadowing can be a powerful storytelling tool to engage an audience and encourage critical thinking. Foreshadowing future characters, plot points, and ideas can help students think about the trajectory of the story and find connections between concepts. Think: Within your lesson, where are there opportunities to plant the seeds about major ideas or concepts that will emerge in future classes? Conflict is about the struggle between characters and ideas. The conflict in a story is sometimes referred to as “the hook,” because of its essential role in engaging the audience. Conflict in a lesson can can be just as useful — for instance, when students engage with opposing points of view or take on a complex problem. Drama and conflict make the learning experience richer and more engaging. Conflict can also help your audience understand the connections between characters — between critical ideas in your lesson. Think: Where can you build in key moments of drama and conflict into your lesson? Where are there opportunities for students to uncover and grapple with dilemmas and authentic problems? When the characters, the plot, and the dramatic turning point of a story are sufficiently compelling, audiences will want to stick around to see what happens. And so will students. That point of resolution typically provides the audience with some conclusion, solution, or deeper understanding of the main themes of the story. Think: How will you help students capture and codify their main takeaways? What was learned, and what questions remain? Too easily, our lessons can become dull narratives, lacking intrigue and drama. By reminding ourselves of the core elements of storytelling — character, plot, foreshadowing, conflict, and resolution — we can resist that slide and bring learning to life. So, what is the story of today’s lesson, this month’s unit, and this year’s course? As you think about the story of your teaching, also consider how you can bring your students' stories into your lessons. Our unit, "My Part of the Story," is a collection of six lessons designed to launch a course about United States history, literature, or civic life through an examination of students’ individual identities. Use these lessons to help young people understand how their voices are integral to the story of the country. This post was originally published on Usable Knowledge, an online resource from the Harvard Graduate School of Education that aims to make education research and best practices accessible to educators, policymakers, members of the media, nonprofit leaders, entrepreneurs, and parents. Zachary Herrmann is a candidate for the Doctor of Education Leadership degree at the Harvard Graduate School of Education. He is a former math teacher who researches and writes about teacher innovation. Follow him on Twitter at @zachherrmann.